Below is a brief summary of a few of AiLab's recent media. Please visit our 'About' page to find out more about AiLab or contact us for further information or media enquiries. 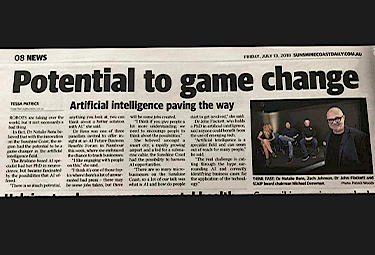 AiLab feature article talking about our launch, mission, workshops, partnerships and building the AI community. View the article on the Invest Adelaide website. 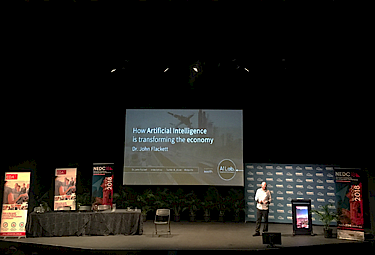 Our Head of AiLab, Dr. John Flackett, talked with Sonya about the impact of AI on businesses and everyday life, as well as how AiLab is providing AI education and support to industry, government and the community. John also took listeners questions on future jobs, automations and UBI. Listen to the interview on ABC Radio Adelaide website. 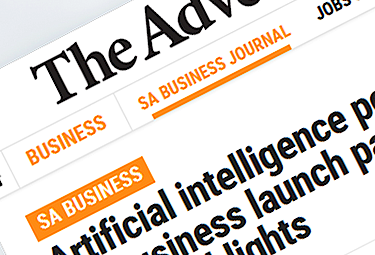 John was interviewed by The Advertiser newspaper about Artificial Intelligence and the launch of pre-registrations for AiLab at our event ‘Future Jobs in a World of Artificial Intelligence', as part of the Open State Festival in Adelaide, South Australia. 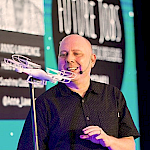 View John’s interview on The Advertiser website. For AiLab media enquiries, please drop us a line.